A Cavallo Big Foot Pair of Poly Pads. Poly Pads are designed to fit your existing Cavallo Big Foot Hoof Boots. One size fits all Cavallo Big Foot Hoof Boots. The Cavallo Big Foot Poly Pads will provide extra cushioning for your horse's hooves within their Cavallo Big Foot Hoof Boots. The Cavallo BFB Poly Pads are moulded from specially formulated industrial grade polymer compound to help absorb everyday shock plus provide your horse with additional comfort while on the trails. 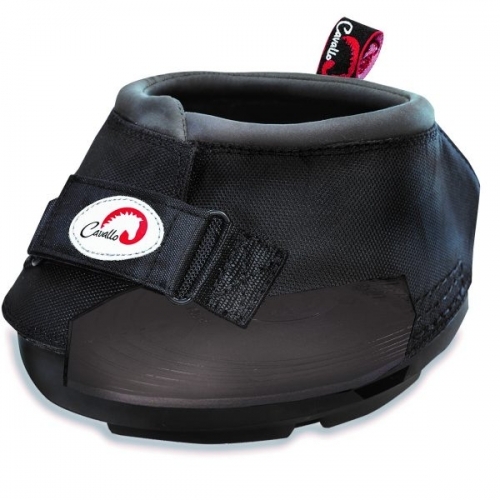 Cavallo’s Enhanced Hoof Protection Pad inserted into your hoof boot absorbs shock on hoof strike and minimizes fatigue. Cavallo’s advanced technology brings a new dimension to comfort.